Everybody loves Lunch Box Quilts. Angie Steveson, founder of Lunch Box Quilts, was at Bernina University this past week. 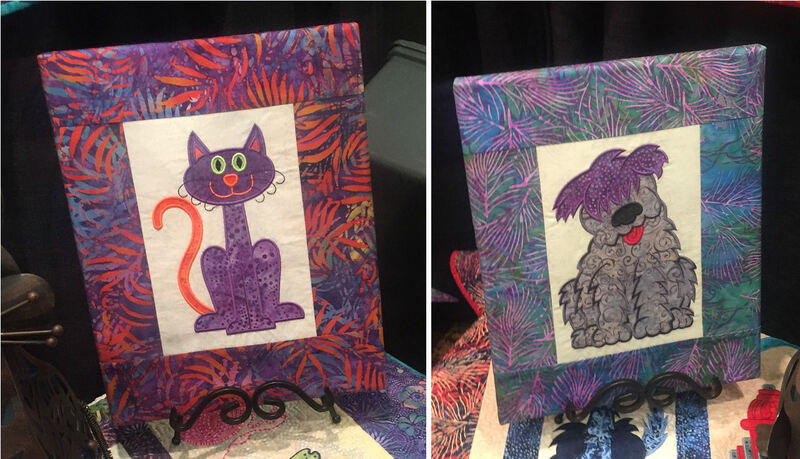 Her Cat’s Meow and Mixed Mutts are very popular patterns. If you do not have time to make the whole quilt; you may want to make a wall picture. The pictures are from Angie’s booth. The quilts squares are bordered and mounted on an art canvas board. Clever! Absolutely adorable. Previous Previous post: Welcome to our New Blog!